However, there are some things which you need to know before you visit an outlet shopping mall. What can be the best alternative to buying branded items at discount prices than visiting the outlet stores? Such stores are located at almost all cities all over the country. Even if there's not an outlet store nearby, you can always go on a long drive on a weekend to enjoy shopping for branded items at discount rates. However, there are some things which you need to know before you visit an outlet shopping mall. 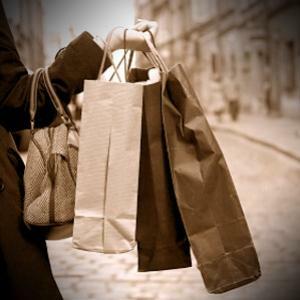 Check out the following 5 tips to save maximum on outlet shopping. Get an outlet club membership - The outlet clubs usually offer online club memberships at a nominal rate. You can become a VIP member of such an online outlet club (as per your choice) and get notified of its special events along with getting online discount coupons. Do not forget to check out online coupons from time to time in order to get special discounts. Compare the prices before you decide to buy one - Before you visit outlet stores, make sure you check the retail stores or online stores in order to find the real price of the items. This is because often the items at outlet stores are advertised as offering greater discounts when they're actually not; often the actual price is marked more than what it actually is. So, have an idea about the items so that you can compare the prices and decide whether or not it'll be wise to buy from the outlet stores. Also, check out the price of the clearance items both in the retail and online stores before you pick one similar item from an outlet store. Watch the items carefully before buying - Sometimes, the items available at the outlet stores are of lower quality in comparison to what you get at the retail malls. This is because some of the items are manufactured only for the outlet stores though usually the items at the outlet stores are those which haven't been sold at the retail stores. So, watch the garments carefully for any defects or of lower quality, before you get enticed by the discount offered. If required, ask the outlet staff to be sure of the quality before you buy. It is best to shop during the off-season - Do you know when is the best time to shop for winter garments from the outlet shops? It is during the summer months. Yes, this is true. You'll get maximum discounts if you buy winter garments during summer months and vice-versa. Check out the return policy before buying - Most of the retail stores don't accept return goods from outlet stores. So, before you buy an item from an outlet store (especially if it is located far from your house), do check out the return policy; it is better to buy the items which you're sure that you'll be able to use, so that you don't have to make another trip to the outlet stores in order to return them. Most importantly, it will be easier for you to pick and choose items if you avoid peak days and hours. If it's possible for you, try to visit the outlet malls on weekdays, especially on Tuesdays, Wednesdays and Thursdays as the places are less congested during these days. Also try to visit the outlet stores early in the morning or during the evening time. By doing so, you can avoid crowd and can enjoy shopping and pick favorite branded items as per your liking.